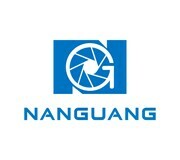 NANGUANG CN-T96 Photo light , high brightness , low consumption with a soft diffuser , could take soft , beautiful and clear pictures ,which have enough brightness , no exposure . Suitable for website seller ,still life shooting .company taking products pictures . It is also used as photo lighting kits CN-T96 2KIT . Configuration : Adjustable bracket , H stents bracket , connecting base .